Pumpkin packs a punch with fruit enzymes. 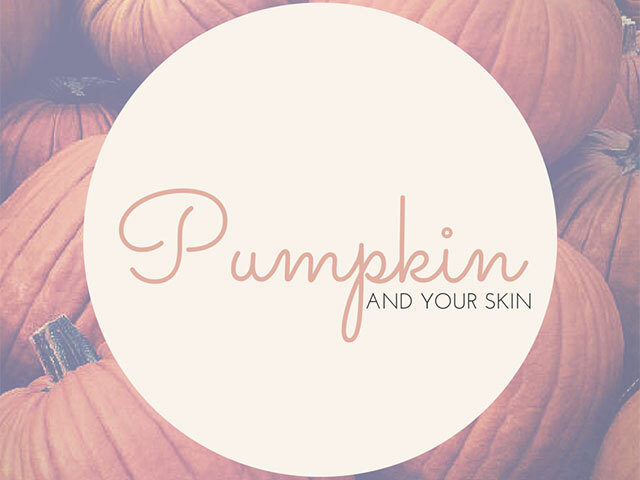 Skincare products with pumpkin contain natural enzymes that help to dissolve dry skin cells and even promote the creation of new cells. This is why pumpkin is often found in peels or exfoliators. 2. Dry skin? Oily skin? Aging skin? Sensitive skin? No worries. Food for your face! Good news, pumpkin is gentle and can be used on any skin type. Pumpkin is rich in Vitamin C, which helps to increase collagen production. And why is collagen so important? It’s a protein that helps to keep the skin firm. Firm skin means fabulous skin and boosting collagen will undoubtably help with wrinkles and fine lines. Pumpkin is also rich in Vitamin A, which has a whole whack of beneficial skincare qualities. For example, it hampers the breakdown of collagen, which is great for wrinkle prevention. Let’s get all sciency here for a minute. The molecular structure of pumpkin is comparatively small and can therefore can penetrate deeper into the skin when applied topically. This is good news if you are looking to brighten dull skin and fight the onset of aging. Does all this talk about pumpkin make you want to go out there and try something? We’d love to recommend one of ZENMED’s newest products – CLEARPEEL. This is a great weekly treat for the skin and contains our hero fruit of the month, pumpkin. I love pumpkin! Thanks for sharing this!!! A very good reason for stocking pumpkins. Good news for sure and considering that pumpkins are easy to find, there is no reason why our skins should not glow at all times. A great insight and above all else, we are to keep our bodies well hydrated. This is the best combination to any beauty measure we will ever take. Thanks for highlighting skin benefits of pumpkin. Find it very informative.